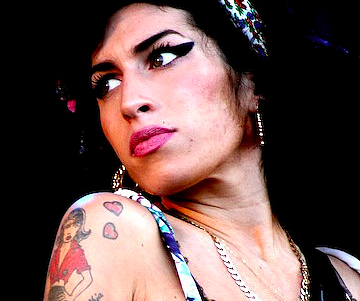 Troubled musician Amy Winehouse is blowing up on YouTube — but for all the wrong reasons. On Saturday, the singer — who has long-struggled with drug and alcohol abuse — attempted to perform at a festival in Belgrade, Serbia. The 27-year old, best known for her 2006 album, Back to Black, struggled to keep her balance, use her microphone and remember the lyrics of her own songs. The crowd was initially on her side, but eventually they tired of Winehouse’s antics and booed her off stage. Winehouse’s management must be looking forward to the day when Apple’s technology to prevent bootleg recordings kicks in. But in this age of online video, pocket HD cameras and instant access, the trainwreck was recorded for posterity and uploaded to YouTube. More than one concert goer recorded the set and uploaded the clips, seen below. We hope Winehouse is able to get the help that she needs to get her life and her career back on track.